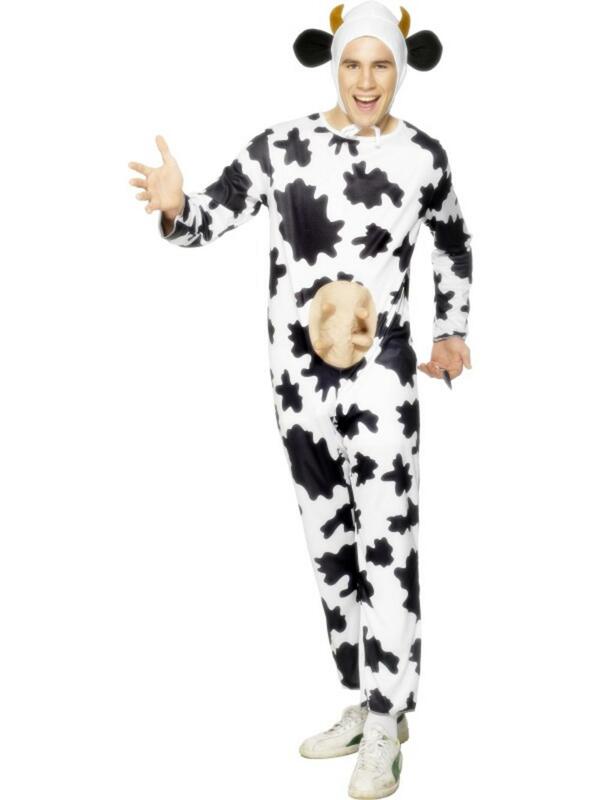 This Amoosing Cow costume is the perfect comical animal fancy dress costume for any fancy dress party. The costume comprises of everything needed for transforming yourself into a bovine beauty and comprises of a cow printed black and white jumpsuit with attached flesh coloured plastic udders and is completed with a Cow headpiece with horns and ears attached. 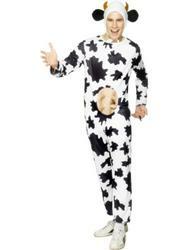 You'll be the most stylish cow around in this amazing fancy dress costume!